As citizens concerned about the economic crisis and austerity measures, we urge you to fundamentally change the proposed Greek rescue package. The bailout deal must be rewritten to ensure that public money serves the public interest and doesn't reward the banks and speculators which have helped cause the crisis. Unbelievable, they're doing it again. Our governments are giving even more free taxpayer money to banks! 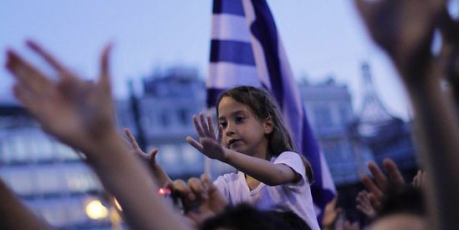 Absolutely, we need to bailout Greece to save Greece, and save Europe. But the current bailout makes us the taxpayers pay back banks for 90% of their foolish investments. Greek people don't get a cent, and we give a ton of money to rich bankers. And even worse -- about 30% of our money will go to speculators who will make a massive profit from gambling on a bailout! How on earth did our governments write a bailout plan that floods banks and speculators with our money and leaves Greece with nothing? The answer -- they actually asked bankers to write the agreement. Our finance ministers are deciding on this plan in days -- let's send them and our parliaments a massive call to go back to the drawing board, and bailout Greece, not the banks.